Swellendam Drostdy Museum is one of 28 museums affiliated with the Western Cape Provincial Government's Museum Service. The museum is located in the former court complex in Swellendam, built in 1747 when Swellendam was situated on the frontier of the Dutch Cape of Good Hope. It was founded in 1939 and its displays are somewhat dated and offer a Eurocentric interpretation of the past. 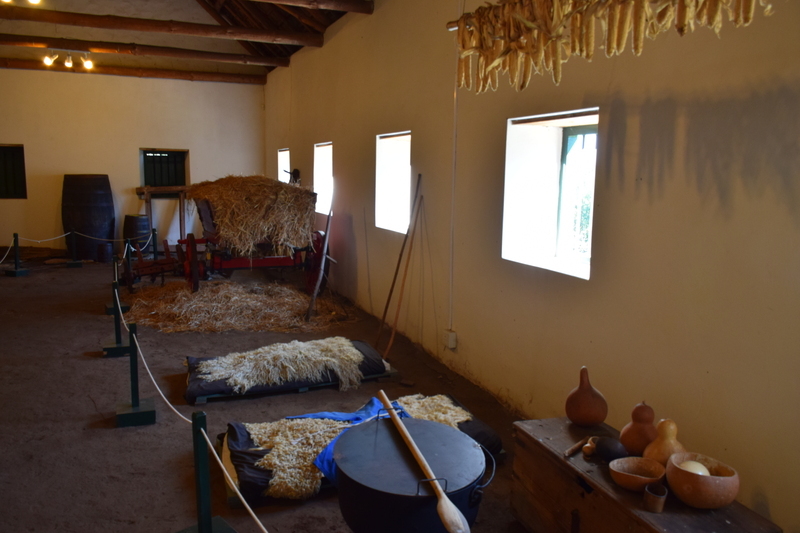 The collective heritage of Swellendam is represented through a magistrate's chamber, court room, and a number of domestic settings where the landdrost and his family would have relaxed between the important duties of enforcing European jurisdiction. A safe, the only original item from the building not destroyed in an 1865 fire, occupies a prominent place as a tangible link to this past. A display opened in one of the barn outbuildings in 2006 seeking to imagine what this outbuilding may have been like two hundred years previously when it may have functioned as slave quarters. The Drostdy Museum's display illuminates a possible surviving link, doing this through a number of straw sleeping mats, food props, and carts. A series of interpretation panels explain slavery at the Cape and give the names and roles of several people enslaved/indentured at Swellendam Drostdy. In light of this, it is somewhat problematic that the museum created controversy in 2015 when it leased one of its buildings to an upmarket eatery. This was given the name 'The Whipping Post' by its owner in reference to the whipping post which formerly stood adjacent to the jail. Activists and local politicians highlighted the links between slavery and the original whipping post, and the outlet was ultimately renamed 'The Trading Post'.